UFC 230, is set to go down on November 3 from Madison Square Garden in New York City, is still in need of the main event. UFC has tried to secure the main headliner, but nothing comes together thus far. 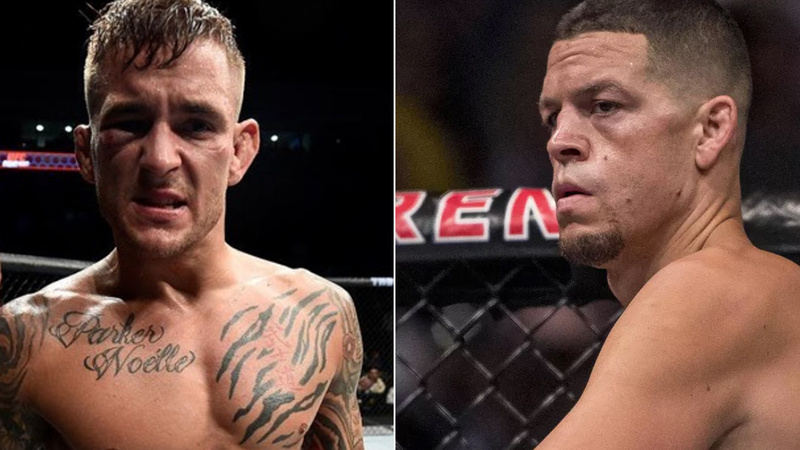 Meanwhile, the cards co-main event is dynamite, which features Dustin Poirier who slated to welcome Nate Diaz back in the Octagon in a lightweight showdown that is brimming with title suggestions. Dustin Poirier who took to Twitter where he suggests to turn his fight with Nate Diaz into a 165-pound title fight headliner. That came out a day after when UFC head honcho Dana White said there was no way Jon Jones would return at UFC 230 main event. “What about Nate and me for the 165lbs belt?” Dustin Poirier said on Twitter. What about me and Nate for the 165lbs belt? Now that, current UFC welterweight champion Tyron Woodley requires a hand surgery and has been ruled out of talks of main event clash against outspoken Colby Covington at UFC 230. The promotion can think deeper into Poirier’s suggestion. Fight fans would love to see a five-round affair of Poirier vs. Diaz instead of just three, but adding a new UFC belt to the line doesn’t seem likely to happen. Last year California State Athletic Commission (CSAC) unanimously passed the 165-pound division with a 10-point plan to help combat extreme weight cutting and severe dehydration in MMA, but Dana White has said he is against that weight class and that it will not be used in UFC. If UFC considers Poirier’s call for a title fight against Daiz, who’s one of the most popular fighters in the sport today, should be able to bring in significant PPV numbers. And if Stockton pulls a win, it could most probably set a trilogy bout with Conor McGregor for the 165-pound title. UFC 230 takes place at Madison Square Garden in New York City Nov. 3. We’ll have to wait and see what UFC can pitch.